New research from the University of Southampton has found that working or travelling on an underground railway for a sustained period of time could have health implications. Previously published work suggests that working in environments such as steel mills or welding plants, which are rich in airborne metals, like iron, copper and nickel, can have damaging effects on health. However, little research has been done on the effects of working in an underground railway environment – a similarly metal-rich environment – and results of studies that have been conducted are often inconclusive. New research published in Environmental Science and Technology shows that the small dust particles in the air in an underground railway is quite different to the dust that you breathe in every day and that could have health implications. While coarse dust is generally deposited in the conducting airways of the body, for example nasal passages and bronchi; and the fine dust generally can reach the bronchioles (smaller airways), it is almost exclusively the ultrafine dust which is able to reach the deepest areas of the lungs, into the alveoli, where oxygen enters the blood and waste gases leave, to be exhaled. There is evidence that this ultrafine dust may be able to evade the protective barrier lining the airways (the epithelium), and enter underlying tissue and the circulation, meaning that the toxicity of ultrafine particles may not be limited to the airways but may involve the cardiovascular system, liver, brain, and kidneys. 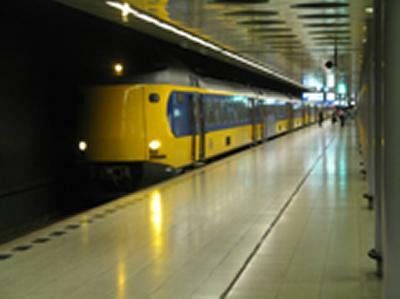 The Southampton team, which included the Geochemistry Group at the National Oceanography Centre, Southampton and the Inhalation Toxicology Group at the National Institute for Public Health and the Environment (RIVM) in Bilthoven, initially collected airborne dust from a mainline underground station underneath an airport in Europe. The metal content of the dust was analysed and a detailed elemental profile was established for each dust sample. These profiles were then compared to profiles from other dusts analysed at the same time, for example dust from wood-burning stoves and a heavily-trafficked road tunnel, showing that underground particles were very rich in metals, especially iron and copper. The shapes of individual particles were examined and gave clues as to how the particles were generated. The team then showed that the dust was capable of generating reactive molecules which are fundamental to their toxic effects, and that this was dependent on the metal content of the particles and, importantly, occurred to a greater extent as the size of the individual particles decreased. Further work is now being performed to examine the effects of underground dust on airway cells in more detail and the potential mechanisms by which cells may be able to protect themselves. The study was funded through the Integrative Toxicology Training Partnership studentship provided by the Medical Research Council UK.